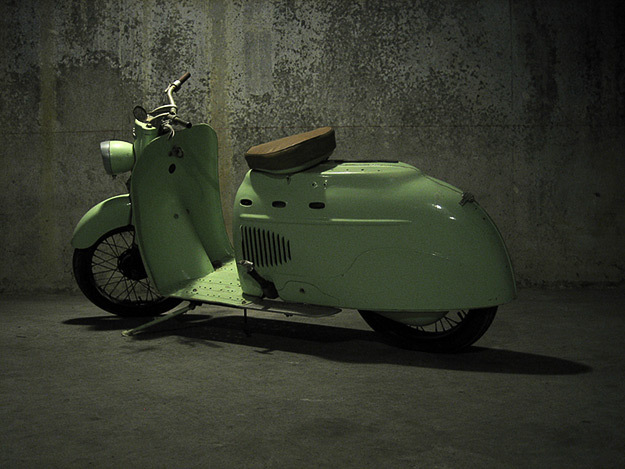 Sycronicity at work again, posted up that link to a group of eBay barn finds (hit the link or just scroll down), and then I stumble across this lovely page about Manurin scooters. So, with a little time, know how, patience and elbow grease your resto project could look something like this. 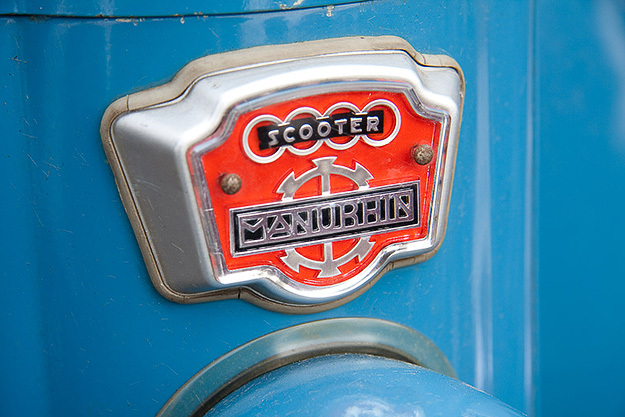 I must admit, I’d never heard the name Manurin before, gut this big wheeled scoot from France has a beauty all of it’s own. 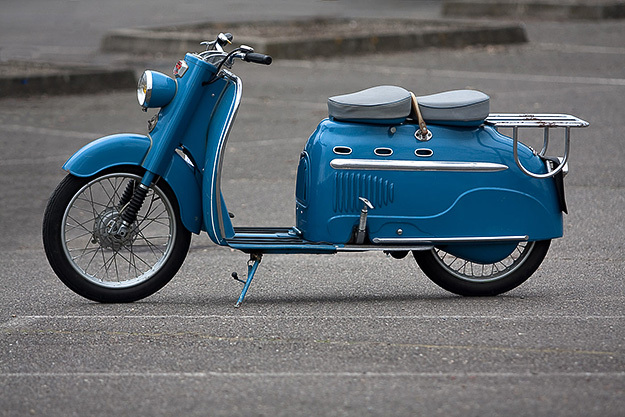 And in 1957, they were the third most poplular scooter in Europe, behind Vespa and Lambretta of course. If the shape is ringing any bells for you, but your not thinking Manurin… maybe it reminds you of a DKW Hobby… which it is pretty much a ‘badge engineered’ version of. 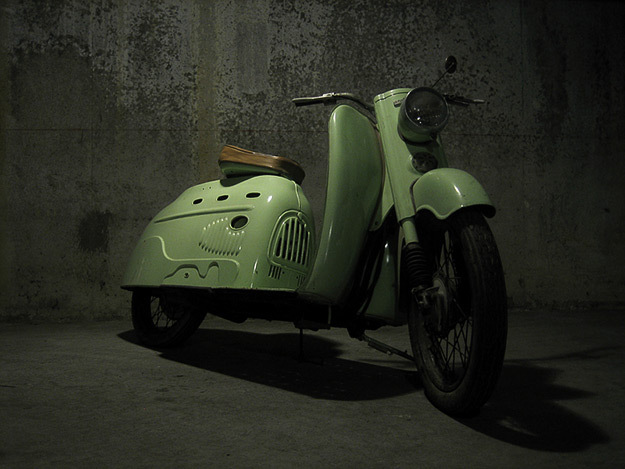 This entry was posted in Not a Lambretta, Scooters and tagged Concorde, DKW, Hobby, Manuhin, oddball by crocodilejock. Bookmark the permalink.